Illinois State exists for the students. Nobody understands that better than Jude Boyer, M.A. 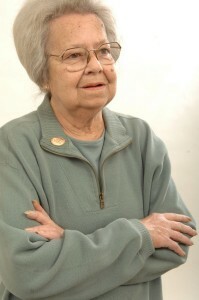 ’68, who was dedicated to helping students during her 32 years at the University. She served as the associate vice president of Student Affairs for the majority of her career. Boyer always kept the students front and center, cherishing the time with them and striving to enhance the collegiate experience they would have at Illinois State. She was motivated to improve the University, which she joined after working as a high school chemistry teacher. A teacher in the Chicago suburbs for five years, Boyer landed a job with the U.S. Air Force. She went on to teach for a year in Azores, which is a small island off of Portugal. Boyer spent another two years teaching in the Philippines. It was then that she discovered her love of traveling. When she came to Illinois State in 1968, it was not with the intent to work. She enrolled as a graduate student in the College of Education. The opportunity to begin a career in Student Affairs was a “fortuitous accident,” she said. “I was in the right place at the right time, and was offered the role in the residence halls as a director,” Boyer said. She rose within the ranks, and after five years was named the associate vice president of Student Affairs. Boyer had many duties to fulfill. Her passion and dedication for the students defined her work. She was actively involved with student organizations, providing administrative assistance to ensure each group was in good standing with the University and capable of expanding. Of the many tasks she completed throughout her university career, her work to improve commencement ceremonies especially had a huge impact on students. Graduation is an important event for students, as it signifies their academic achievement and transition to the next stage of life. Boyer understood that for many students, the ceremony was their last Illinois State experience. She was determined to make it a joyous and personal moment. When she began her Illinois State career, commencement ceremonies were held in Horton Field House. All graduates gathered for one event. It was tight quarters, which made it difficult to accommodate all of the students and their guests. As for the ceremony itself, the graduates stood and were recognized when their department was called. To make commencement more memorable, Boyer worked to implement significant change. The event itself was moved to Redbird Arena. The ceremonies were then broken down into smaller events by individual colleges, which allowed ample space for students and their guests. Commencement became a much more personal experience because students were individually recognized. Each graduate crossed the stage. Boyer also helped institute the December ceremonies in the mid-1990s. Before that all students had to wait until May for graduation, regardless of when they completed their degree. By offering a December commencement, students who finished in the fall were able to experience graduation right away. “Before this was instituted, students graduating in the fall had to come back five months later after they had begun a new phase of their life,” Boyer said. “The ceremony itself was less symbolic and meaningful, as they had already moved on.” The December ceremony was so appreciated and well received by graduates and their families that it continues today. Today Boyer is happily retired and living in Bloomington. She is an avid traveler, who has enjoyed a number of cruises. She has visited many countries, including Vietnam, Egypt, and Cambodia. She also stays actively involved on campus. Boyer has been a member of the Illinois Annuitants Association Board of Directors for six years. She is also a member of the University Club, which is an unofficial social network of former employees. Of course a short bio could not capture the total of your many contributions to ISU. Along with the many who worked with you and continue to admire your efforts for students and ISU staff, we send our commendation. You have made a real difference.